PDF Watermark Eraser removes watermark from various files. Users have to click on “Add Folder” option and add the files from which they want to delete the watermark. There is no file formatting done by the PDF Watermark deleter tool. The originality of the file and data remains intact. 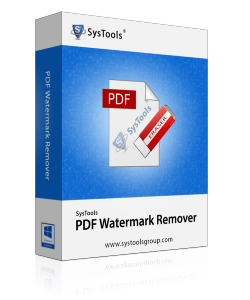 SysTools PDF Watermark Eraser provides facility to delete watermark from PDF file in batch. Moreover, users can also remove logos, stamps, signatures with this tool. It guarantees to maintain originality of data and no changes in the PDF file. 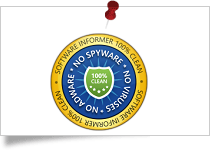 SysTools PDF Watermark Deleter gets 100% clean award by Soft Pedia for delivering Ad / Virus / Spyware free solution. SysTools PDF Watermak Eraser got the 4 stars rating from Cnet for its efficient working. Soft32 provides SysTools PDF Watermark Deleter Tool 5 star rating for being the most effective product for removing watermark from PDF document. SysTools PDF Watermark Deleter is the recommended software among various others because it provides great performance in erasing watermark from PDF document. It is possible for users to remove Watermark from multiple PDF files altogether. With the Add folder option of this tool, you can directly add multiple PDF files all saved at a common location. Also, you can remove unwanted PDF files using the option to remove PDF files from list. Once you add PDF files on the tool, it will show you the progress summary. This summary includes details like: name of PDF file, path of PDF file and current status. Before you begin watermark removal process, the default status will appear as Not Started. While removing watermark from PDF files, the software maintains originality of PDF files. There will be no changes made to the PDF file data, it's formatting or the restriction that are present in the PDF file. The software will only remove watermarks from selected PDF's without making any changes to its original data. The software to remove PDF watermark supports to execute the process of removing PDF watermark from Adobe Acrobat created PDF files. Thus, users can edit and renew the document without watermark or with new watermark imposed. It is possible for the users to save resultant PDF files in a new folder by creating it directly from the software panel. Besides this, you can also save the file at any other location of your choice; if you do not wish to save it in a new folder. The PDF files available on the Windows OS can be selected to remove watermark from. Being a Windows based solution it supports to run on all Windows versions. And allows users to perform a easy and convenient software download. You can use the tool on any Windows OS machine including Windows 8 & all below versions. Trial version of PDF Watermark Remover software allows user to get the watermark from PDF removed and replaced with SysTools watermark embedded. How to erase watermark in PDF file by this software? Some of my Adobe PDF files contains image watermark. I want to remove watermark from PDF file on urgent basis.How can I use this tool? Is it possible to remove watermark from PDF created not using Adobe? I have a PDF created using PDF Creator utility and not Adobe. Is it possible to remove watermark from such PDF files using your tool? No, this software will only remove watermark from those PDF files which are created using Adobe Acrobat. Can the PDF Watermark Eraser tool process multiple PDF files or one at a time only? Yes, of course, you can use this tool to delete watermark from multiple PDF files. Moreover, you can use this tool for single PDF also. Will this tool work fine with PDF containing images & graphs? Yes, software works absolutely fine with all PDF files regardless of what type of content they consist of. Also, there is no data loss involved in the process of watermark removal. Can I use this PDF Watermark Remover tool on my Mac PC for PDF files available in it? I am using Mac Machine and I have some important PDF files which contain text watermark. Is it possible to use this tool to erase watermark from PDF? It is advised that PDF files residing on a Mac PC be moved on to a Windows OS using flash drive or any other external storage media. Only then can you use this tool as it is a Windows based utility. Is there a chance of data loss from PDFs involved while using this PDF Watermark Deleter tool? No, software is made of high technique algorithms. It will just remove watermark from the PDF file(s) and not lead to any data loss. There are plenty of software programs available for PDF file watermark removal but the thing I liked most about your PDF Watermark Remover application was that it not only intends to serve a technically sound solution but does that in a user friendly manner. Working out the removal of watermark from an Adobe Acrobat PDF involved purchasing the Pro version of Adobe Acrobat. And being beyond the level of our organization's budget we couldn't afford it. Thanks to PDF Watermark Remover, its great and budget friendly too. I must appreciate the working of PDF Watermark deleter tool. I had some PDF documents that contain watermark and I want to remove them. This tool allowed me to erase watermark in an easy manner. Completely satisfied with this utility. I would like to suggest PDF Watermark Eraser tool to all those who wants to their organize PDF files by removing watermark. This tool has the simple and user-friendly interface that helps me to remove watermark from PDF document. Thanks a lot, SysTools Team!